IAAN (Idiopathic Adolescent Acute Neurodegeneration) is a mysterious pandemic that kills off more than 90% of America’s children (and supposedly, children from the rest of the world as well), leaving the surviving kids with super(in)human abilities. Under the guise of public safety, the young survivors are captured and placed in a ‘rehabilitation’ centre. There, they are assigned different colours according to their abilities. There’s the less dangerous group — greens with heightened intelligence, blues with telekinetic powers, and yellows who can harness electrical currents. Then there’s the dangerous group that are to be killed on sight — reds with pyrokinetic powers and oranges with psychic and mind control abilities. Conveniently, our main protagonist is an orange — Ruby (Lidya Jewett), an African-American who unintentionally erases her parents’ entire memory of herself on the night of her tenth birthday. 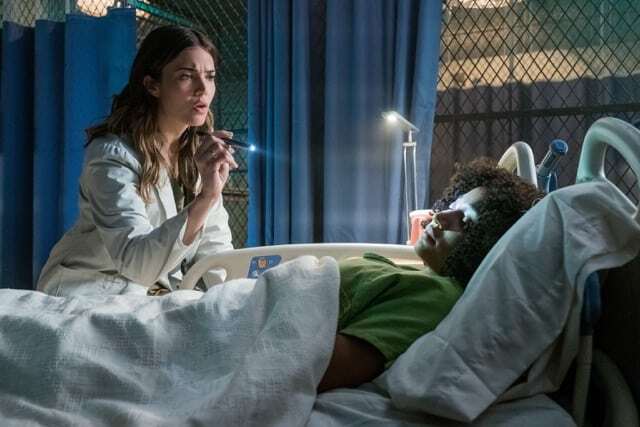 Ruby is sent to the concentration camp but she uses her powers on a doctor when he finds out she’s an orange and somehow, passes off as a green until she’s 16. When the teenage Ruby’s (Amandla Stenberg, Rue from The Hunger Games) true colour is revealed (no pun intended), Dr. Cate (Mandy Moore) breaks her out. However, doubt got over Ruby and she runs off with three other kids — green Chubbs (Skylan Brooks), blue Liam (Harris Dickinson), and yellow Zu (Miya Cech). We follow the four kids as they loot malls, find the “cool” camp where the other escapists are, and fight off persistent bounty hunters. The Darkest Minds is Jennifer Yuh Nelson’s (Kungfu Panda 2 & 3) live-action directorial debut and the action and visual effects are commendable. The plot doesn’t hold up much in terms of believability and character motivation for the most part, though. For the more mature audience, questions such as how would parents just allow their kids to be locked away in concentration camps and how did the disease even come about — obvious and important questions that the film hardly addresses, can easily break the film for you. That said, the young actors are great, particularly the awkward but cute chemistry between Stenberg and Dickinson, and Brooks and Cech as the support. They are a joy to watch and are easily the main reason why viewers will give this film a shot. 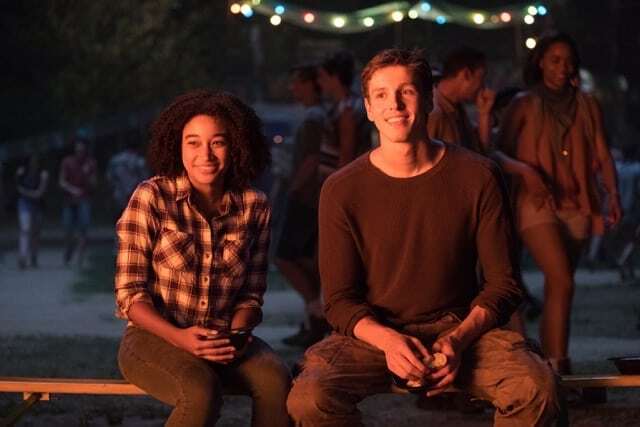 The Darkest Minds is, for the most part, a dark teenage adventure with a superhero twist (or The Stranger Things if you like), a refreshing movie amid the usual blockbusters. The good news for young adult sci-fi fans is that the ending sets a very obvious tease of a sequel — or more. 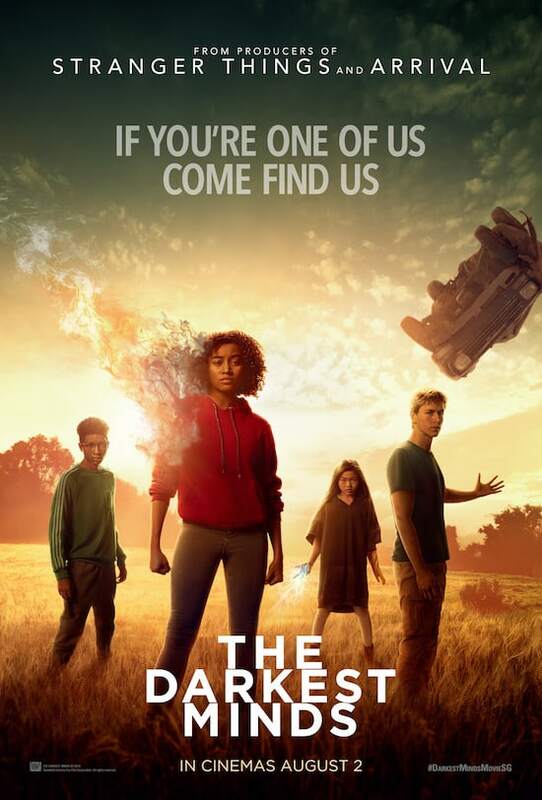 Summary: Adapted from a sci-fi teen novel series by Alexandra Bracken, and from the same producers behind Netflix’s hit The Stranger Things — The Darkest Minds depicts a dystopian future where kids with superpowers are suppressed for political motives.